Why? Because the slave owners were Arabs and Muslims. And this fact does irreparable harm to Farrakhan and his Nation of Islam’s mission, which is to convince American blacks that Islam is their path to freedom. Even as blacks were suffering the torments of slavery in North Africa, Farrakhan worked to keep the truth from the American black community. Farrakhan’s reach was far and wide. On March 13, 1996, Cotton and other anti-slavery activists spoke at a forum at Howard University only to find Farrakhan’s hand had reached into this citadel of black learning and leadership, and had put fear into the hearts of students and administrators. After their appearance at Howard, the abolitionists testified at a more than four-hour hearing on Capitol Hill of the House Foreign Relations Committee’s subcommittee for Africa. The Baltimore Sun answered his challenge. Several months after his March outburst, the Sun sent two journalists — one white and one black — to Sudan where they purchased the freedom of two black Christian boys and were nominated for a Pulitzer Prize for their story. Farrakhan was shown to be a liar, and to have favored his Arab and Muslim allies over his black brethren. Humiliated and defeated, he retreated and returned to ignoring the issue. How can we understand these actions of Louis Farrakhan, supposedly the most uncompromising advocate for black people on earth, denying that black men, women, and children were other people’s property — in particular that of Arab Muslims? Another aspect of the answer emerged not two months before Farrakhan’s public denial, when the Chicago Tribune revealed that “[Libyan dictator Muammar] Gadhafi, who loaned Farrakhan $5 million in 1984 for various Nation of Islam business projects, vowed this time to spend $1 billion on Muslim causes in the United States.” Clarence Page, the prominent black journalist who penned the article, also wrote that black Sudanese slaves, captured in hideous slave raids, were occasionally taken to Libya to be enslaved by Arab masters there. This meant that since at least the 1980s, Farrakhan had been a recipient of vast sums of money from Arab countries where blacks were enslaved. To its everlasting credit, the Clinton administration successfully blocked Qaddafi’s billion-dollar loan. But this is all in the distant past. Today, blacks are still enslaved, now in five African nations, by Arabs and Muslims. It is very possible that only one sermon from Louis Farrakhan could launch the black American community into action to free these black slaves. 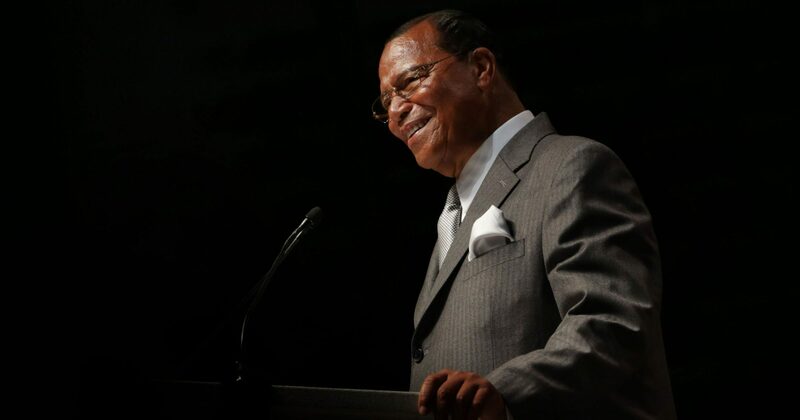 Farrakhan could truly — finally — live up to his concept of himself as the black man’s great emancipator. If the past is a guide for the future, however, sadly, it is unlikely that Louis Farrakhan will go down in history as much more than every black man and black woman’s most egregious betrayer.